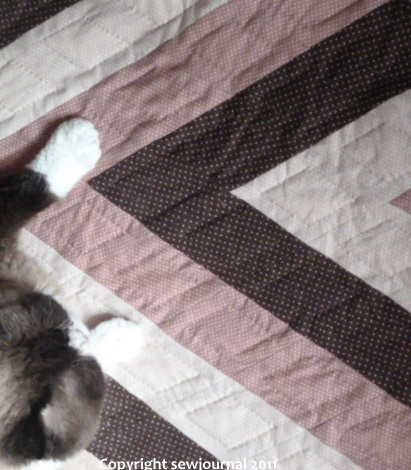 I’ve been hand quilting the prayer quilt. Small stitches on the diamonds and larger Perle 8 quilting on the background. 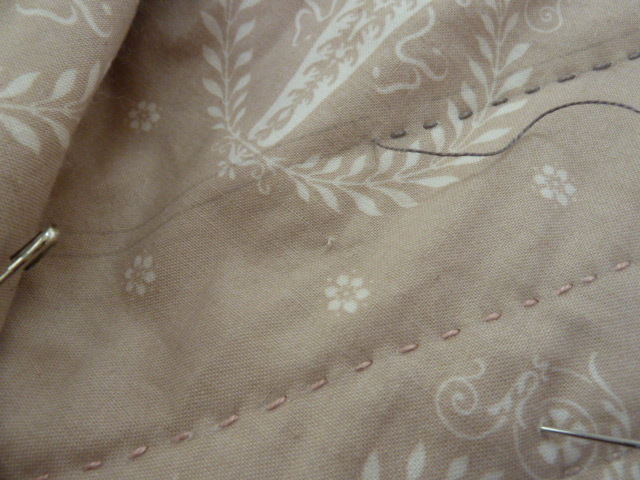 And then when I took out one of the safety pins that was in the way this is what I found! The reason I hardly ever use these pins. 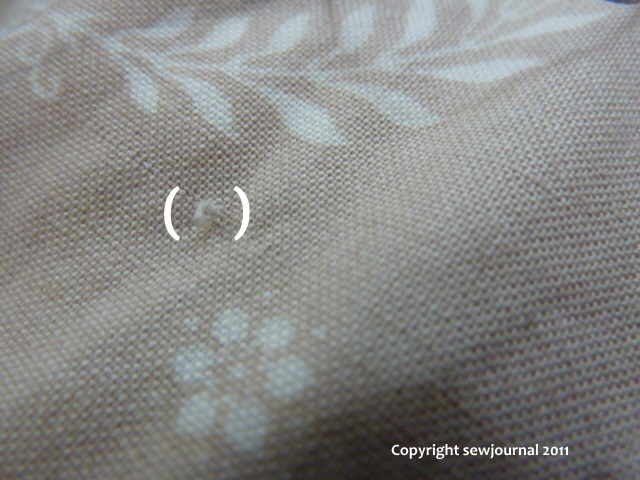 this is where you applique a tiny little flower or cross, something that will accent your quilt. Those things happen and I don’t know any way around it. It’s looking great, love your stitches. Unfortunately this wasn’t possible on this quilt Jan so I had to try to pull the tread back through and hope the pull wasn’t visible. I know what you mean, Munaiba. I have had that happen to me, so now I run them through a piece of waste cloth first to see if they have any burrs on them that are only discovered when pulling out, (when it is too late) and not when pushing through. I love seeing your work, and I aspire to such neat, even stitches as yours. I hope you managed to pull the thread back as it is such a shame to have that happen. What a shame to have this happen when you have done such beautiful work. Always check any pins is a good idea as those burrs always seem to show up in the most inconvenient locations. Probably you will be the only one to really notice it though.